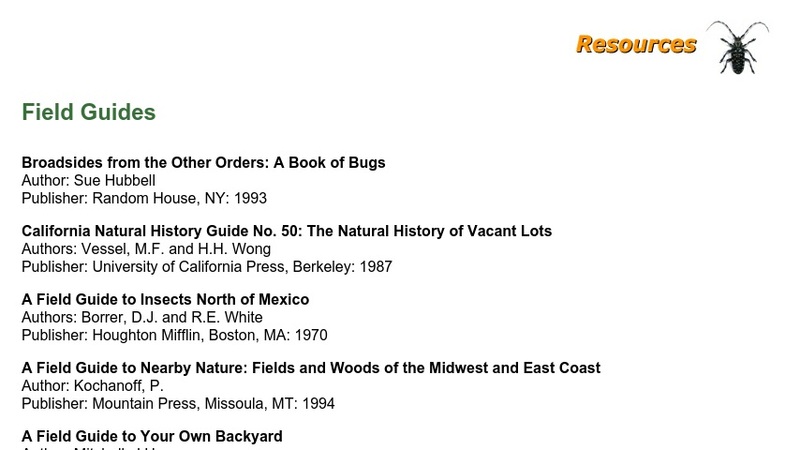 This reference includes individual titles of note along with the most popular field guide series. For each guide, the author, publisher, and publication date are given. The diverse list has 17 individual titles, which cover everything from wildflowers in the Colorado mountains and insects north of Mexico to the natural history of vacant lots. There are detailed descriptions of four of the most popular field guide series: Audubon Society Guides, Golden Guides, Peterson Guides, and Stokes Nature Guide Series.